It has been said that the profession of medicine is more art than science. When it comes to medication management, each physician has a unique approach to the medications that may or may not be recommended. While there are certain guidelines and standards that physicians use across medical disciplines, there is still plenty of room for individual treatment recommendations. I was originally trained as a family physician but have focused my practice in the pain management discipline since 2006. 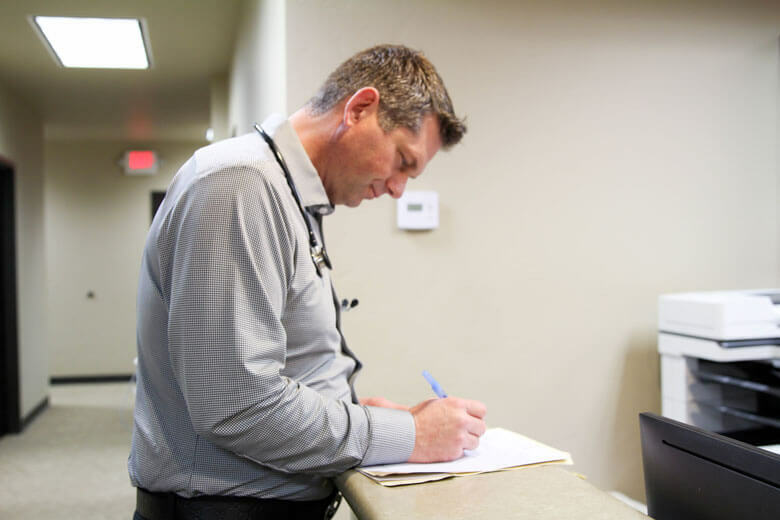 Prior to 2006, I practiced in various other medical disciplines which include the following: rural practice including obstetrics and pediatrics, inpatient hospitalist care, outpatient general medicine, addiction medicine, as well as performing various general medical procedures. I mention this because I have a broad background in medicine that allows me to look at the patient in pain from a very unique perspective. I believe we are fearfully and wonderfully made. Each one of us has unique characteristics many of which are obvious like personality, looks, etc., but we also have very unique coping mechanisms to pain both physically and emotionally. Through the years, I have perfected a medication regimen that helps restore how patient’s respond to opioid based pain medication. I have found that over time it is typical for a patient to wind up on progressively higher doses of pain medication. Many times, the patient has the understanding that the higher dosages are necessary because their condition has worsened, but this is typically not the case. Our goal is to treat patients with the safest medication and in a way that helps reduce addiction to the lowest threat possible. We want patients to lead the most productive lives possible and to have the least amount of interference from medication with their memory and reasoning faculties. Balancing the side-effects of complex medication regimens can be quite challenging at times. Typically, patients report greater satisfaction with pain control, improvement in activity level and mood with less mental interference. It is quite rare that we cannot achieve our treatment goals. For the patient that has a severely painful condition but struggles with the addictive undercurrent that opiates can have on some patients, we have a very unique and highly effective way to treat the pain and inhibit the struggle of taking the medication as prescribed-the addictive current. The patient typically finds that they can stay on track with their medication extremely well on this regimen similarly to taking any other medication like blood pressure, thyroid, or asthma medications. I will next give you a synopsis of a patient situation that I see all too commonly. The patient is in their 40s or 50s and has attempted numerous interventional procedures (epidurals, radio frequency nerve ablations, etc.) perhaps even a spine surgery or two all in an attempt to “fix” their condition and avoid long term medication. Of course, physical therapy has been attempted as well as possibly chiropractic treatments and various other modalities in an attempt to get back to “normal.” By the time a patient like this sees me for a first-time consultation, they may be struggling with depression or worse and can be hanging on by a thread emotionally and psychologically. They of course try to live daily the best they can and try not to burden those around them with their struggle. The medication they are on typically is marginally effective especially if they have been on it for several years or longer. I employ every available treatment modality in the medical arsenal to try and help the patients I see. I approach the patient not only from a physical standpoint, but spiritually as well as psychologically and emotionally. All dimensions of a person must be addressed to achieve adequate pain control in the chronic pain sufferer. If this sounds familiar, there is hope. Consider a consultation.